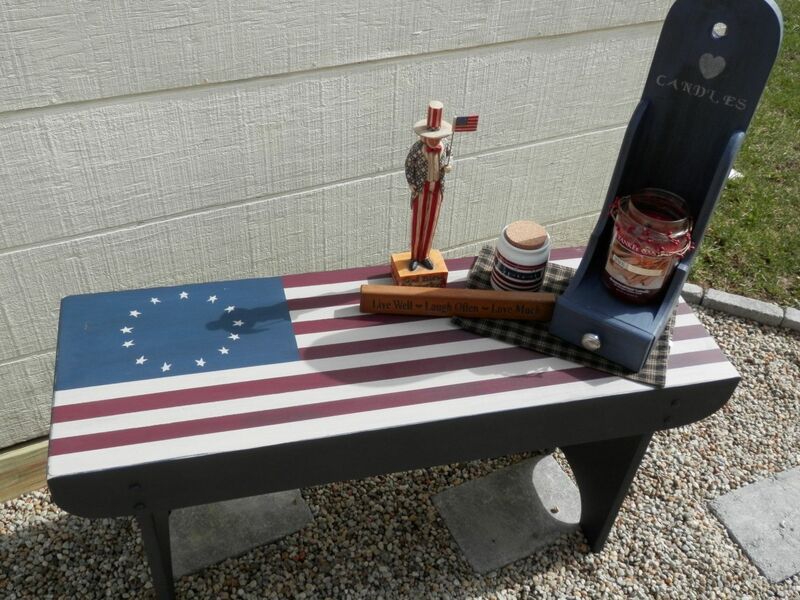 Beautiful Americana Style bench. 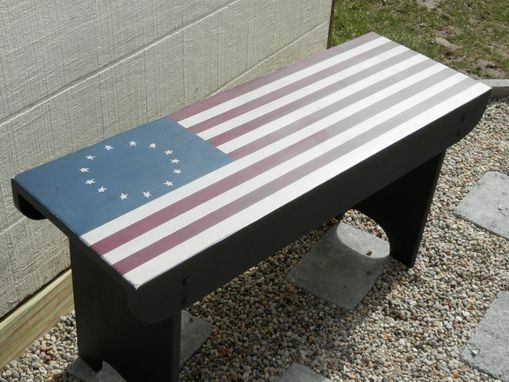 Handmade and hand painted with our American Flag. Great for indoor or outdoor use as a bench or table. Measures 36 inches long. 18 inches tall and 12 1/2 inches wide. Shown in rustic distresed finish. Sorry...decorations and orniments not included.